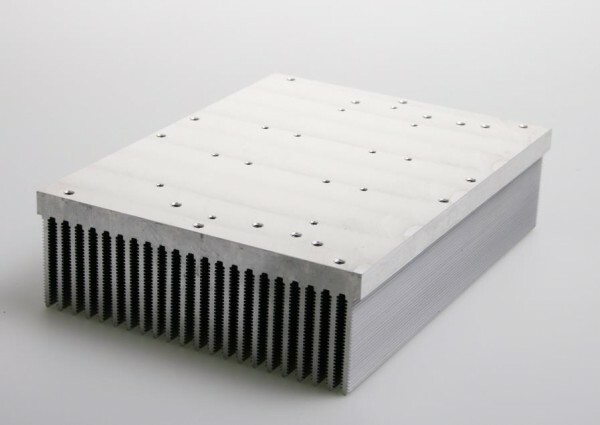 Product information "Extruded Heat Sinks"
Extruded aluminium heat sink profiles are safe for a lifetime, as fins and base plate are a single piece extrusion. The aluminium extrusion process can be used to produce a large number of different profile shapes. With modifying the profile shape, the surface that comes into contact with the air is also changed, and thus the ability to dissipate heat. Extruded heat sinks are mainly used in systems with medium electrical power, both with natural and forced convection by fans. The heat sinks utilise different surface enlargement geometries to match pressure head and flow rate of fans and blowers. For detailed information on extruded heat sinks and the many options for defining a custom solution, please contact us. Related links to "Extruded Heat Sinks"
Customer evaluation for "Extruded Heat Sinks"